Martingale Wharf presents Chateau Barbebelle's co-owner and vintner Madeleine in our East Lounge & Deck. 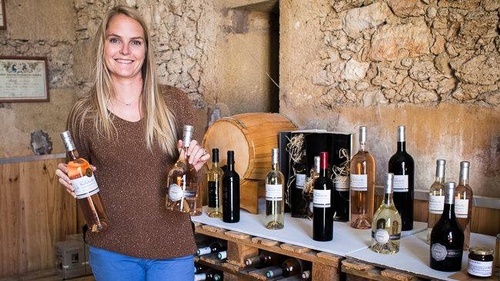 "Lands cultivated by Romans, a typical château from 16th centuries, 45 hectares of vines in a preserved and authentic 300 hectares nature : welcome to Château Barbebelle, one of the oldest vineyard of Aix en Provence ! It is the stronghold of the Herbeau family. An history that continues with the 4th generation: Madeleine decided to join her father to write in four hands the future of the family business. Together, they intend to continue to consolidate the reputation of home wines, and highlight the qualities and the typicity of their terroir in France and in many countries." Ticket includes two glasses of wine from Madeleine's collection and Chef Cory's perfectly paired Hors D'oeuvres.